IN THE BEGINNING... NSP was born in 2001 from the vision of Bruce "Buzz" Hansen, a life-long surfer, skater and allround waterman. While working in Maui as a custom surfboard builder Buzz had an epiphany for producing affordable, versatile, durable and great performing surfboards. Buzz correctly realized there were everyday surfers that needed an affordable board that performed in Hawaii, yet they didn’t require “custom” or specialized competition or extreme surf boards. His dream was a utilitarian surfboard that could ride in the back of the pick-up truck to the beach, be left in the sun all-day or loaned to a friend without fear of damage - of course it had to surf good enough to give to his long-time surfing buddies, neighbors and friends and save face. The quest began, so Buzz summoned friends working for a leading composites manufacturer with the goal to create a light, highly durable surf board at highly competitive prices. Working together they introduced a new epoxy technology that would go on to revolutionize the industry and quite possibly recreational surfing. Week-end and occasional surfers were no longer subject to the ill-performing “foamies” or relegated to the used board market. The code name while in development was “New Surf Project”. Somehow the name stuck and “NSP” was established. The word “New” reflected the brands identity, using new technologies that were new to the market and a new way of thinking about the surf industry. NSP began selling in Hawaii and Australia in 2002 with immediate success making surfing more accessible. In 2007 NSP was one of the first brands to produce SUPs based on the brand’s original concept of performance and value. Today NSP has become one of the world’s largest brands in recreational surfing and stand-up paddleboards, introducing new participants, young and old, who in turn have introduced their friends and family to the joy and freedom of the sport and brand. Since 2013 NSP started producing some of the fastest SUP race boards on the planet, 4 years on we have many national and world class athletes riding NSP and winning some of the most sought after and prestigious titles in SUP competitions. Over16 years hundreds of thousands of boards have passed, yet our core values haven’t changed. NSP remains true to the original vision of the great performing, affordable, durable surf or paddleboard that allows everyone to surf. Elements HDT (High Definition Technology) Durability, value and performance - the go-to board for any recreational surfer. - Exclusive HDT molding technology delivers highly accurate shape reproduction with dynamic flex characteristics. - EPS SecureCell core is wrapped in lightweight fiberglass and molded creating a durable shell. 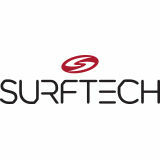 - The ultimate choice for retailers looking to stock a single surf range. - Great performance shapes at attractive prices. - The amazing blend of construction features including eco-friendly bio-resin is a game-changer in its category. Unrivalled strength and high durability. - E+ is the next evolution of NSPâ&#x20AC;&#x2122;s famous E2 Classic molding technology. - The E+ range features NSPâ&#x20AC;&#x2122;s most popular board designs. - Deploys extremely tough military grade fibers and ASA sheet creating a ballistic skin on deck/bottom - EPS SecureCell core and eco-friendly bio-resin. - Perfect for schools and rentals demanding a highly durable product with long term ROI. Eco-friendly precision molded boards utilizing Coconut husks. - Cocomat is an innovative, sustainable, proprietary and patent pending technology. - NSP uses raw coconut husk fibers from naturally sustainable plantations with eco-friendly bio-resin. - Visually unique board with an unmatched strength to weight ratio. - Light to carry, easy to maneuver and even lighter to paddle. - Responsive flex and strength gives confidence to push your limits in the conditions. A classy handmade board using heritage construction techniques with modern deep gloss color tints. - Traditional custom shaped polyurethane (PU) core combined with wood stringer. - Proven designs from master shaper Kym Thompson. - Highest quality materials finished with a super deep gloss for a custom board finish. - Great longboard. It’s a proven classic for swooping bottom turns, high trim lines - New sharper rails in the tail, modern performance rocker combined with mellow V bottom blended with a subtle double concave. - 2018 refinements make it an easy board to trim on the wave and dynamic when riding off the tail. vee through the tail incorporated into a wide swallow tail. - The slight hip behind the front fins reduces the area under the back foot creating a pivot point for snappy turns. - Boxy and full rails also add to the overall volume and forgiving nature of this model. - The Fish performance delivers traction, down the line speed and maximum drive over the flattest of sections. - The five fin box system offers the option of stock tri-fin or optional quad-fin set up to optimize the fin cluster for your style or for the surf conditions. HYBRID High performance meets paddling power in the most versatile and user friendly intermediate short board on the market: - The popular Hybrid is designed with the tail of a short board for performance and the wider nose of a Fish to maximize paddling power and stability. - Performance rails, bottom rocker and foil to make it fast, stable and maneuverable on the wave. - The flatter rocker and added width catches waves easily and generates speed combined with a pulled in round tail for bite and hold through rail turns and in steeper waves. - Ideal for intermediate to advanced surfers seeking one of the most versatile and user friendly short boards on the market, suits any wave situation from beach breaks to point breaks. - The five fin box system (on HDT Elements models) offers the option of stock tri fin or optional quad fin set up to optimize the fin cluster for your style or for the surf conditions. ENDLESS Soulful longboard for the purest log rider seeking classic style and that endless glide: - The Endless represents the classic era of surfing and is designed for the purest longboarder seeking that endless glide and to express themselves in that soulful style. - Neutral egg shaped rails with no edges at the tail promotes drag off the tail giving the freedom for nose riding and hanging10. - The Endless models reflect shaper Kym Thompson’s proven longboard design using “V” under the rider’s trim area giving effortless rail to rail transitions and drop knee cutties. - The bottom shape combined with the signature tucked edge rail design delivers positive feel and response while providing a controlled and stylish performance in small to over-head sized waves. HOOLIGAN Aggressive high performance longboards that break the rules with quick and dynamic carving combined with traditional style for intermediate to advanced surfers: - The Hooligan design incorporates the responsiveness of a narrow shortboard tail and rail profiles to create a longboard that carves unlimited lines and hits the lip. - The advanced surfer will appreciate the loads of hollowed V under the feet to give quick rail-to-rail turns. - Show off all your surfing skills with a dynamic short board approach to rail to rail carving, then switch modes for classic nose riding and traditional longboard style. - Use a small single fin for small surf then add side biters and larger center fin as wave size and power increases. - Bring out your inner surf hooligan, break down the traditional surf style rules and mix things up on the wave with an aggressive modern and classic style! DREAMRIDER A dream to ride, this premium fun board shape will turn heads on and off the water: - A longer performance board with features for both the aspiring surfer and style conscious looking to fire up their surfing with a fun and versatile surfboard for catching more waves. - Stable and performance orientated for fast tracking skills, ample nose area which adds paddle power for easy wave catching and drive in smaller waves. - The exotic double wing rounded pintail maximizes stability and shortens the radius of the turn giving a quicker and snappier riding board. FIGHTING FISH With the Fighting Fish in your corner you’ll be a champion small to over-head wave shredder: - The heritage of this shape comes from the most successful twin fin designs of the late 70’s and 80’s updated as a modern thruster. - The outline is wide with lots of area in the nose and a double wing swallow tail and a very distinctive and deep double concave V in the bottom. - The double winger tail is an intricate part of the design with the fins set next to the wingers for a water flow release point in the rail to shorten the radius of the turn giving a quicker, snappier and turnier board. - This shape quickly provides maximum lift and speed which translates into turning performance, allowing the rider to use the surface area to milk the juice from the smallest and weakest waves. supplied with VFS soft fins. - Eco-friendly shape molded SecureCell EPS core. - NSP’s durable fiberglass and epoxy construction with eco-friendly bio resin. performance that’s hidden under the hood. - Solid rubber bumpers nose and tail. - Crocodile textured soft-top deck. Durability, value and performance - the go-to board for any recreational paddler. - EPS SecureCell core is wrapped in lightweight fiberglass and molded creating a durable shell. - The ultimate choice for retailers looking to stock a single SUP range. - Offers the recreational market great performance shapes at attractive prices. - The amazing blend of construction features including eco-friendly bio-resin is a game-changer in its category. Unrivalled strength and high durability. - E+ is the next evolution of NSPâ&#x20AC;&#x2122;s famous E2 Classic molding technology. - The E+ range features NSPâ&#x20AC;&#x2122;s most popular board designs. - Ultimate choice for rental centers with proven return on investment. - Deploys extremely tough military grade fibers and ASA sheet creating a ballistic skin on deck and bottom. - EPS SecureCell core and eco-friendly bio-resin. - Perfect for schools and rentals demanding a highly durable product with long term ROI. Eco-friendly precision molded SUP boards utilizing Coconut husks. - Cocomat is an innovative, sustainable, proprietary and patent pending technology. - NSP uses raw coconut husk fibers from naturally sustainable plantations and eco-friendly bio-resin. - Visually unique board with an unmatched strength to weight ratio. - Light to carry, easy to maneuver and even lighter to paddle. - Responsive flex and strength gives confidence to push your limits in the conditions. P2 technology focuses on safety first and ease of teaching. - The P2 core is NSPâ&#x20AC;&#x2122;s SecureCell EPS, fully glassed in a durable fiber epoxy shell with eco-friendly bio-resin. - Finished with a soft-top deck with protected rails and slick PE bottom. - All P2 Soft boards are fitted with high end accessories for safety and ease of use. - Rubber bumpers on nose and tail and neoprene handles for instructor board control. - P2 series offers a proven return on investment for surf school/rental operators worldwide. PERFORMANCE TOURING Explore what's around the next corner and the next, go further and faster in all conditions! - The Performance Touring range incorporates NSP's race winning design elements for exceptional glide with touring-specific features. your gear with nose and tail bungy plus FCS insert for attaching a GoPro or GPS. - Added volume in the nose to support heavy payloads and to ride over chop easily. - Paddlers will appreciate the great tracking and superior handling in crosswinds. - Cocomat is the premium model offering the benchmark strength to weight ratio for performance touring. - Available in Cocomat and Elements with eco-friendly bio-resin. LOTUS Enjoy tranquility, stability, family fun and water-based fitness workouts. - Lightweight and strong the Lotus is easy to move on and off the water. - Super stable and wide creating a floating platform to make SUP yoga accessible for all abilities. - The grippy full length padded EVA deck gives confidence to practice advanced yoga poses. - so you can take - Focus on family fun with comfortable EVA over the entire deck passengers and pets for a paddle. - Offered in Cocomat construction incorporating sustainable natural materials with eco-friendly bio-resin. - Paddle holder on the tail for when exercising. - The Lotus is a very versatile and easy to paddle board for water-based fitness workouts for the whole family. CRUISE The Cruise design is the most popular board in the NSP range and one of the most popular SUP's in the world. - Cruising on the water is the purest experience of SUP. fun board on flatwater and in small waves. rounded square tail creating a stable platform with generous volume and easy turning. - The E+ Cruise is a favorite of SUP schools and rental centers around the globe with a secure lockable feature on the nose that is ideal for locking up on the dock or trailers. - 9’8 model has a rounded tail for greater maneuverability. - Available in Cocomat, E+, Elements and P2 Soft construction with eco-friendly bio-resin. paddling glide makes this board a trendsetter in the market: - Proven outline with semi pointed surf style nose with moderate nose lift, a forward wide point for stability and easy paddling. style or for the surf conditions. - Outstanding strength to weight ratio utilizing exclusive Cocomat technology with eco-friendly bio-resin. - Ideal for the surfer looking for a highly durable, stable, responsive surf SUP to take their performance to the next level. - Shaped and designed by legendary shaper Dale Chapman. - The Super X design delivers full rail cutbacks, lip smacks and powerful bottom turns - supercharged like a much shorter board without sacrificing longboard glide. - The Super X range is shaped and designed by the legendary Dale Chapman. - The Super X is only offered in premium SLX technology: Wave riding performance, reduced weight and durability. 9' x 28" (116.5 L) Super cool and versatile board that will turn heads hotdoging in small to medium waves. Excellent for light (75kg - 85kg) beginners to intermediate+. Soft nose entry running through to the hard edge around the tail. 10’ x 27" (126.1 L) NSP's signature 10ft board, the super high performance "quiver killer" model. Effortless to ride with less rocker in the nose and more in the tail it trims beautifully to "walk the board". “Be careful, this board is a quiver killer. favorite in the 10 ft range. 10'x 32" (152.0 L) Scaled up again and wider version for the big dudes offering uncompromised longboard performance,super stability and style for 95kg -115kg + beginner to intermediates. DC SURF X The DC Surf X creates the ultimate performance quiver to cover all conditions. - Surf X 7’8”: Made for NSP Team riders and advanced, light (50-65kg) and agile surfers. The board performs extremely well in the pocket, it's extremely fast and very responsive in quality waves. - Surf X 8’2”: Surfs like a 6'2 short board, super responsive and stabile for its size, highly recommended for 75-85kg surfers. - Surf X 8'6": An extended version of the 8'2'', it paddles extremely well into waves. The board loves getting out in the face for round house cut backs! Ideal for 75kg-95kg intermediate to advanced surfers. - Surf X 8'10": Longer high performance design that surfs the same as the 8'2''. The go to board for taller or more solid 80kg-100kg+ surfers. - All Surf X shapes have increased rocker in the nose and tail to give greater control in large surf conditions, while the domed deck gives extra volume in the standing area. - The range bottom shape: Single concave at the nose for improved paddling speed into waves while the double concave with V in the tail keeps speed and flow through turns. - Surf X range is shaped and designed by the legendary Dale Chapman. - Surf X is only offered in premium SLX technology: Wave riding performance, reduced weight and durability. The NSP O2 bag is conveniently designed to easily pack your inflatable SUP for your next adventure. The bag features carry handles and adjustable straps to carry as a back pack, heavy duty zippers, name tag window, internal compression straps and integrated padded internal pockets to hold your NSP double action pump, fins and repair kit. to its narrow outline. Taking inspiration from the NSP DC race designs, these boards look great and go fast, with the ease-of-travel benefits and storage convenience of an inflatable. Offered in the 14' and 12'6 race class lengths, the O2 Race has an integral rubber strip integrated into the nose providing rigidity and shape integrity when paddling into choppy water that translates into performance. The US 10’ type fin box offers the option to use an NSP race fin for faster speeds. O2 YOGA Enjoy tranquility, stability, family fun and water-based fitness workouts. deck to focus on your yoga stretches and mindfulness. The 39" width makes balancing a breeze. The Yoga is a very versatile and easy to paddle board with a focus on family fun so you can enjoy taking passengers and pets for a paddle to your favorite spots. of general paddling glide and turning ability. All boards feature a wide forward point for stability with efficient and fast paddling and a pulled in tail for maximum maneuverability in all conditions for fun days on the water. The NSP O2 Allrounder has you covered! surf kick pad for traction. Provides weekend family versality and fun as great as a kids SUP to cruise on, for SUP surfing in small waves and can be used as a normal surfboard for riders over 85kg. NSP PRO CARBON Elite pro carbon technology construction when winning is all that matters! - Cutting edge aerospace carbon fibers and ultra-light core materials are combined within our unique vacuum construction, making Pro Carbon the lightest, stiffest and fastest racing construction technology available. - Featuring a PVC reinforced deck for integrity plus carbon rails for stiffness reducing flex and making the board ultra responsive. - Carbon Innegra reinforcement adds impact protection in nose and the tail for close quarter battles at race starts and from the chasing racers in a draft train. - Pro Carbon is an elite construction technology that is standard in our production race boards allowing you to own exactly the same boards that NSP pros Travis Grant and Titouan Puyo win on. NSP CARBON Carbon technology offers race winning performance with a fantastic blend of weight and value. - NSPâ&#x20AC;&#x2122;s Carbon boards feature double wrapped carbon rails for stiffness and bamboo reinforcement is added in the standing area for increased durability. - Vacuum molded to ensure these boards are a true replication of our race winning designs time and time again. - Carbon Innegra reinforcement in the nose and tail protects from paddle impacts during the close quarter battles of race starts and from the chasing racers in a draft train. The ultimate range of unlimited downwind boards are an evolution of the NSP production board that Travis Grant used to win the prestigious Molokai 2 Ohau (M2O) race. These boards are developed exclusively for long distance open water racing and downwinding. The balanced rocker is designed to save your energy by gliding fast on flat water and maintaining momentum between the bumps. Equipped with a steering system, these boards will keep the perfect direction regardless of wind or swell, ensuring you are always in control and in tune with the conditions. Available in two lengths, this is an evolution of the first ever production board to have won the coveted Molokai 2 Oahu Ocean Race. PADDLES NSP's paddles come in a variety of formats to best meet your needs and budget in 94 and 86 square inch blade sizes, from fixed to two and three piece adjustables. All 94 and 86 models include protective blade covers. LEASHES New for 2018 our 10’ coiled SUP leashes are highly durable and come in a fresh new look to pefectly match your NSP. Includes two swivels to ensure maximum maneuverability and prevent getting tangled.